Kalos Music & Art School presents "Tamunangue: memories of the tradition"
Kalos Music & Art School presents “Tamunangue: memories of the tradition”, a heartfelt exhibition about a very important musical tradition from Venezuela under the view of Vera Francheschi . As a young professional documentary photographer, she has been able to capture a vibrant expression of a collective memory. 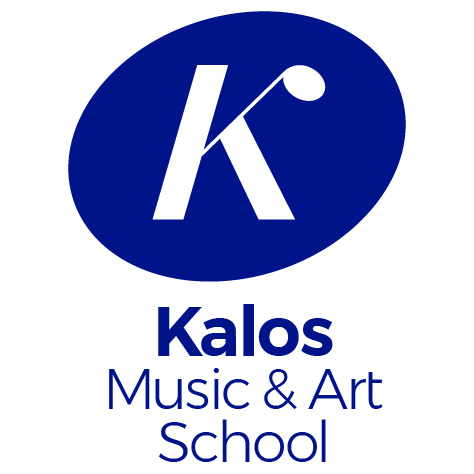 The pictures where taken at Kalos Music Art & School, the only one of its kind in south Florida which has a class cultivating this musical expression. “Tamunangue” describes a folk tradition, which refer to a ritual fest integrated of music and dance, so popular in certain communities in occidental state of Lara in Venezuela. The “Tamunangue” is also the most complex and magnificent expression of traditional choreography in Venezuela. Franceschi, Venezuelan, gathered a group of Venezuelan musicians and students living in Miami that come from very different backgrounds but they shared the passion for their cultural musical roots that come from Lara state in Venezuela. Vera Franceschi caught the interpretation of Tamunangue in several workshops’ sessions. The portraits of this exhibition want to reinforce their Venezuelan identity by keeping alive one of their most important tradition. It is Franceschi´s desire that the visitors can absorb the sonority present in her work and, at the same time, share with you this beautiful collective memory. The result of this documentary work is going to be shown next January 31st at Kalos Music & Art School, opened since august 2011 and run by very talented Venezuelan musicians: Saul Vera and Eugenia Mendez. Valia Franceschi has coordinated the event and she is also the curator of the exhibition. We will expect you from 7 pm to 9 pm, and you will have the opportunity to, not only meet the faces and instruments behind Vera´s lens, but also to meet them in person and hear them playing some Tamunangue tunes. Kalos Music & Art School presenta “Tamunangue”: memorias de la tradición. cautivadora exhibición fotográfica de Vera Franceschi, sobre esta importante tradición musical venezolana. Franceschi es una joven fotógrafa venezolana que ha capturado a través de diversas imágenes, vibrantes expresiones de esta tradición asociada al solsticio de verano y sembrada en el inconsciente colectivo del estado Lara al occidente de Venezuela. Dichas fotos fueron tomadas en los talleres especiales (Music teaching workshops) de Kalos Music Art & School, la única escuela de su clase en el sur de la Florida, USA, que ha abierto una cátedra de esta tradición musical. “Tamunangue” o como se le conoce, “son de negros”, es la palabra que designa una suite de cantos y danzas de siete diferentes sones y coreografías, que se hace en homenaje a San Antonio en el estado Lara, al occidente de Venezuela. Franceschi reunió un grupo de alumnos y músicos venezolanos que viven en Miami, quienes a pesar de tener distintas procedencias, comparten la pasión por sus raíces culturales provenientes del Estado Lara en Venezuela. Franceschi captó la interpretación de los “sones” del Tamunangue en varias sesiones de trabajo, las cuales buscan reforzar la identidad venezolana de estos protagonistas.